Fiddleheads are the young, tightly curled edible shoots of the ostrich fern. This unique green vegetable gets its name because it resembles the spiral end of a fiddle (a.k.a. a violin). They are available for only a short time in early spring as they are harvested when they are just a few inches off the ground and still tender. It has a delicate flavour, which could be compared to asparagus mixed with green beans, and a slightly chewy texture. They are grown commercially in British Columbia, Ontario, Quebec and Atlantic Canada. Choose small, firm, brightly coloured fiddleheads. Avoid fiddleheads that are soft, uncurling or loose and have turned brown or are yellowing. Store unwashed (dry) fiddleheads in a sealable plastic bag and remove the air or wrap tightly in plastic wrap. Store in the fridge for no more than 3 days. If you have access to a vacuum sealer, they will last for up to 3 weeks. Since fiddleheads are only in season for a short period of time, many people choose to freeze them for later use. To prepare fiddleheads for the freezer, remove as much of the brown paper husk as possible and wash thoroughly. Boil for two minutes, then discard the cooking water. Plunge into ice cold water to stop the cooking process, then drain and allow to cool completely. Pack in plastic freezer bags with as much air removed as possible and store up to 1 year. Be sure to fully cook the fiddleheads after thawing. Use your fingers or a vegetable brush to remove as much of the brown paper husk as possible. Wash the fiddleheads in several changes of cold water to remove dirt and any remaining husk. Trim off woody stems before cooking. Fiddleheads are best enjoyed when simply prepared. Try one of these methods. How to Boil: Cook in a generous amount of salted boiling water for 10-15 minutes. Drain in a colander and serve with a drizzle of olive oil or melted butter, and a squeeze of fresh lemon juice. How to Steam: Place in a steamer basket over boiling water for 20 minutes, or until tender. 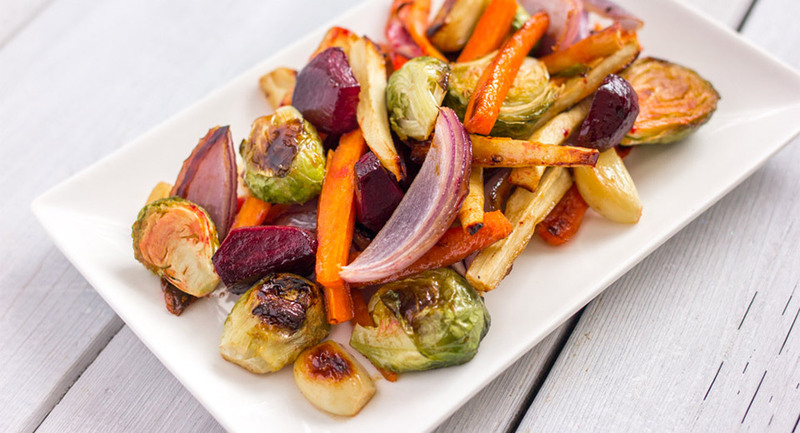 Serve with a drizzle of olive oil or melted butter, and a squeeze of fresh lemon juice. How to Sautée: Melt butter in a skillet over medium heat. Add boiled or steamed fiddleheads, and cook 1 to 2 minutes on each side, until golden brown. Season with salt and pepper to finish. Important: Health Canada advises against consuming raw or undercooked fiddleheads, as this may result in symptoms of food poisoning such as nausea and upset stomach. 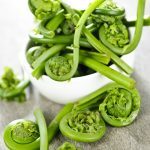 Fiddleheads should be boiled or steamed before used in recipes that require sautéing, frying or baking, or adding to soups. While other types of ferns with coiled shoots exist, like foxglove or bracken ferns, they are not safe to eat. Be sure to purchase fiddleheads from a reputable vendor to ensure you are getting ostrich fern shoots. Fiddleheads don’t need a lot of adornment to be enjoyed. They can be steamed and served with olive oil and a squeeze of lemon, or boiled and topped with hollandaise. Fiddleheads can often be used interchangeably with blanched asparagus, making them a great addition to pasta dishes, quiches or omelettes. They are also nice when added to a salad with diced tomatoes and green beans. 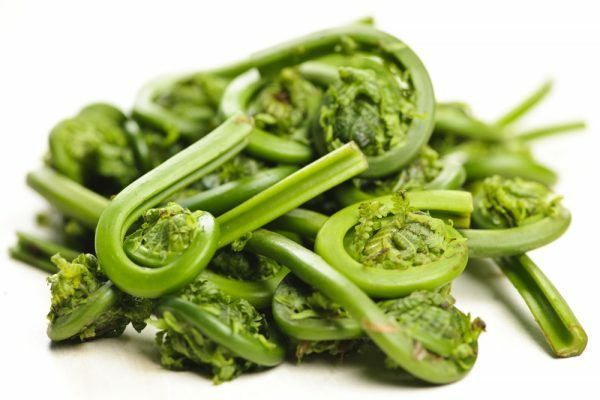 According to the Canadian Nutrient File, the nutritional value per 100g of frozen, boiled fiddleheads using the daily recommended intake from Health Canada is: 48% of Vitamin A, 30% of Vitamin C, 10% of riboflavin, 8% of zinc, 8% of magnesium, 8% of fibre, 5% of iron, 5% of phosphorus and 4% of potassium.